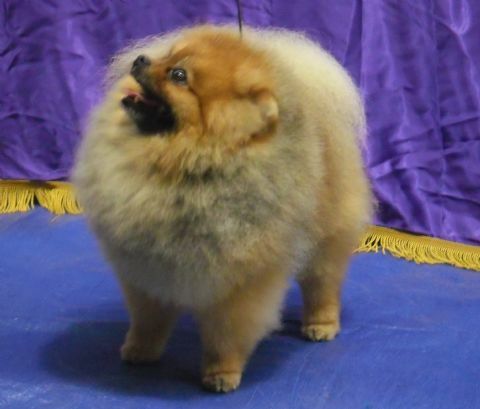 Top NZ Pomeranian Kennel, where type and soundness matter. We are thrilled to have such good freinds in poms and Cresteds here and overseas, that trust us with thier well bred dogs. We adore each and every one of them. We are having so much fun with our Cresteds Evelyn, Misty and our Poms Bently, Bliss and soon Emma! in the show rings with thier successes. As of March 1st, 2018 ALL dogs leaving here will be endorsed NEVER TO BE BRED NEVER TO BE SHOWN unless you have the full papers given to you. Have Fun looking around, if you want more info on the delightful poms, contact me for more sites. NO PHOTOS ARE TO BE USED, OR TAKEN FROM MY WEBSITE, WITHOUT MY WRITTEN CONSENT.